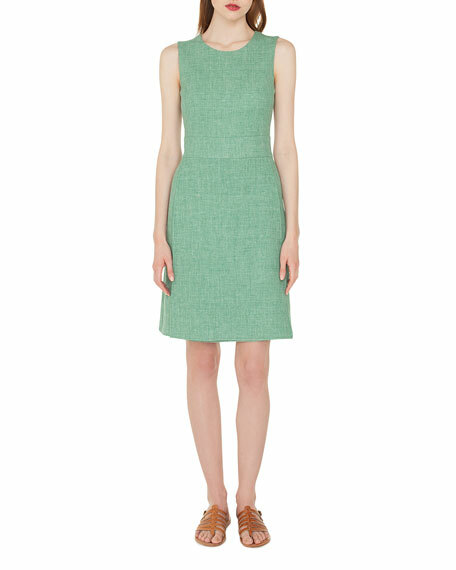 Akris dress in double-face linen wool. 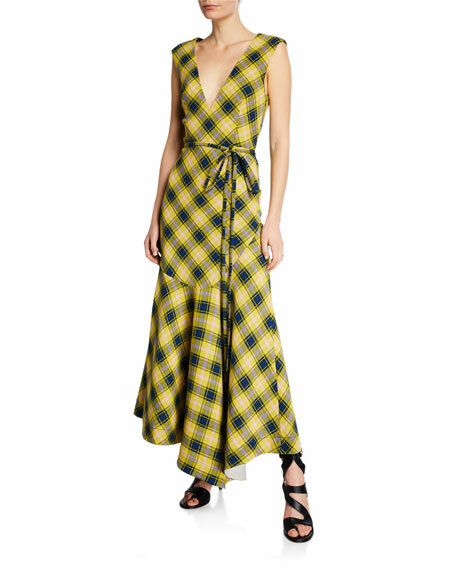 Derek Lam dress in plaid cotton-wool twill. Deep V neckline. Sleeveless. Self-tie sash at waist. Handkerchief hem. Flounce skirt. Back zip. Cotton/virgin wool. Made in Italy. 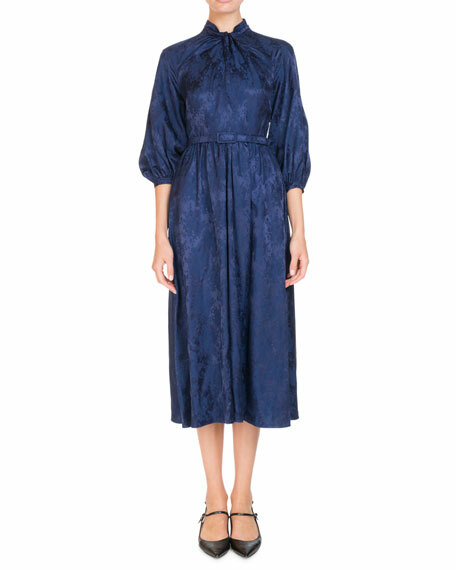 Erdem "Adrienne" dress in satin jacquard. High neckline with twist detail. 3/4 puff sleeves. Belted waist. A-line silhouette. Hidden back zip. Midi length. Viscose/silk. Lining, silk. Imported of Italian materials. 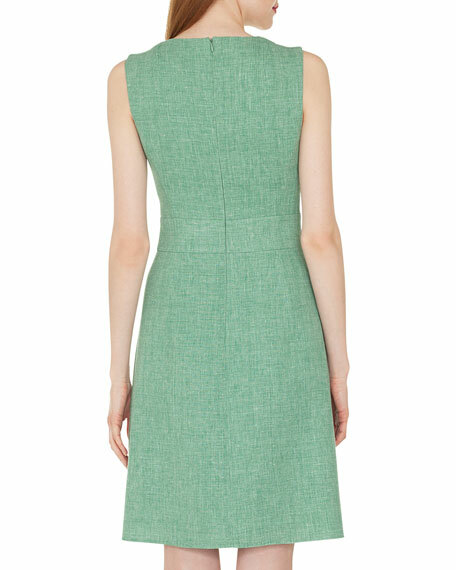 Loro Piana dress in lightweight weave with linen straps, trim, and belt. Sweetheart neckline. Sleeveless. A-line silhouette. Slip pockets. Side slits. Linen. Made in Italy. Monique Lhuillier cocktail dress in sparkly knit. 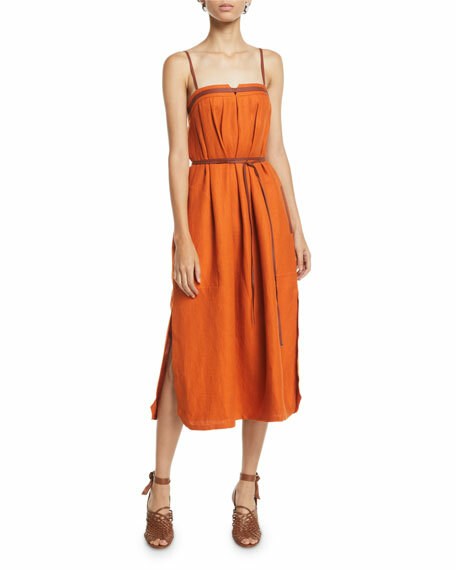 Plunging V neckline; knotted front. Long, gathered sleeves. A-line silhouette. Center front slit. Back zip. Viscose/nylon. Made in USA of imported material.